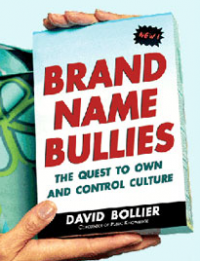 Because the practices of commoning fly in the face of market culture, they are frequently misunderstood. What is this process of committed collaboration toward shared goals? people may wonder. How does it work, especially when many industries want to privatize control of the resource or prevent competition via commoning? As a game designer, Rhéaume realized that successful, fun games must embody a certain “procedural rhetoric” and reward storytelling. He had enjoyed playing “Magic: The Gathering,” a popular multiplayer card game, and wondered what that game would feel like if it were collaborative. 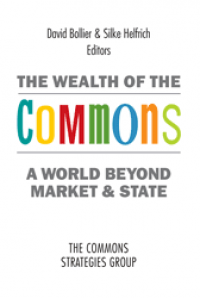 At the WSF, Rhéaume asked participants to share their own insights about the commons by submitting suggested cards in six categories. The first four categories consist of “commoners cards” featuring “resources,” “action cards,” “project cards” and “attitude cards.” Two other types of cards -- “Oppressive Forces” cards with black backs – give the game its kick by applying “negative effects” to the “Political Arena” of play. The two negative effects are “enclosures” and “crises,” to which commoners must collectively organize and respond in time. The International Association for the Study of the Commons (IASC) is considering developing one or more training programs on the commons, in cooperation with Countryside and Community Research Institute of the University of Gloucestershire (UoG); the Instituto de Investigaciones Sociales-UNAM; and the CGIAR Program on Collective Action and Property Rights Program (CAPRI). I. Introduction to the Commons. II. Biodiversity and forests. 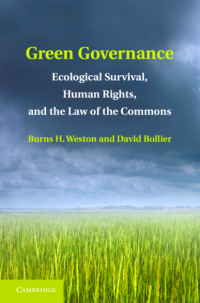 Covering issues such as: ecological principles, biodiversity as a “commons”, forest rights, indigenous utilization, and the capacity for multi-functional use, Valuing biodiversity and influencing policy, and Carbon sequestration and the role of forests in climate change and environmental management. III. Water. Covering issues such as: water as a finite and shared resource, application of commons concepts to water management under different conditions (trans-boundary management; inter-basin movement; within catchment management), legal regimes, water rights, and ‘markets’ for water. Here are a few select paragraphs from my commentary, “Viewing Education as a Commons.” You may want to read the comments as well, including the one from the inevitable nut who equates the commons with communism. 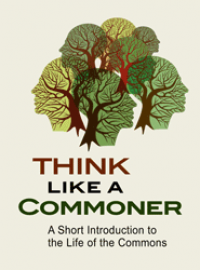 A four-module online course on the commons has just been launched by the UN Institute for Training and Research (UNITAR) based in Geneva, in conjunction with the University of Notre Dame’s Mendoza College of Business. 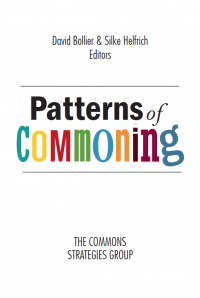 The four modules focus on the history of the commons, the special value proposition of the commons, the dynamics of enclosure, and a survey of commons-based strategies. Officially called “Introductory e-Course to the Global Commons,” the self-paced course, taught in English, consists of videos, online readings and resource links, as well as self-test quizzes. I helped develop this course over the past year, working closely with Professor Leo Burke of the University of Notre Dame and e-learning specialist Robin Temple. 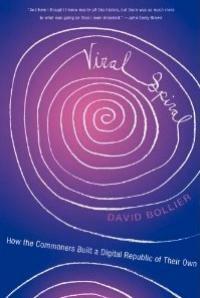 There are, of course, many ways to introduce and teach the commons. This is just one path into the subject. We were especially mindful that we were devising an online course that could be interesting and accessible to a highly diverse general audience -- a special challenge since there is no moderator. We think the course pulls together some notable talks and readings to introduce the commons to UN delegates and government officials, who are the target audience/participant group. However, students, academics, businesspeople and the general public are also invited to take the course. To register, just go here. The deadline for registration is April 20.